Kerala Vegetarian Recipes : While taking a culinary journey down Kerala vegetarian recipes, one will discover coconut an indispensable hero in the making of dishes. Kerala vegetarian dishes are flavorful and zesty with the most appropriate combination of spices rendering a not too mild or too hot flavor. Coconuts grow in plenty along the coastal areas. Vegetables cooked in coconut milk enhance the taste and tones down the spiciness rendering Kerala vegetarian cuisine a distinct taste. Our vegetarian recipe index offers a wide range of healthy curries like Avial, Mango Pachadi, Kalan, Mango Kichadi, Olan, Erissery, Sambar, Rasam and a lot more. Our well illustrated vegetarian recipes are simple, tasty and very easy to follow even for beginners in cooking. Puttu with Kadala Curry, Idli with Chutney/Sambar, Idiyappam, Appam with Vegetable Stew are some of the traditional vegetarian breakfast recipes. Welcome to our lip-smacking payasams like Paal Payasam, Pineapple Payasam, Carrot Kheer and a lot more that adds some zing and liveliness to festive occasions. 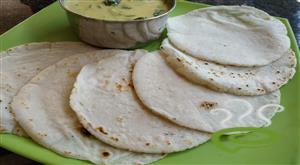 Muringayila Koottan prepared from drumstick leaves is a traditional styled nutritious dish. Muringayila can ward off all infectious diseases and can keep you healthy. 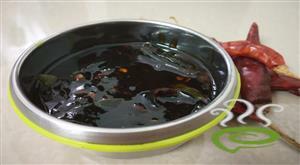 Muringayila koottan is unique and delicious with drumstick leaves cooked in a spicy coconut mixture. The nutritious green should be included in your menu plan and should be prepared at least once a week. 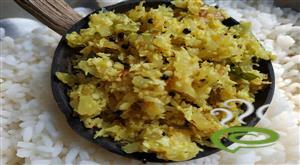 Muringayila Koottan is the simplest of dishes and can be easily prepared at home. You can explore a well detailed Muringayila Koottan here. 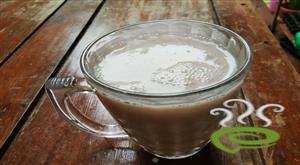 Finger millet porridge is an easy and healthy breakfast porridge for kids. Ragi, coconut milk, and sugar/jaggery together make a sweet and delicious porridge. 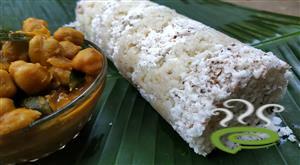 The combo of Vella Kadala Curry / Channa masala Kerala style with puttu, chapathi or appams is too good. 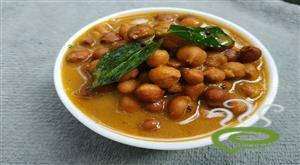 These curried chickpeas are similar to Chana Masala Kerala Style. It’s healthy, simple and makes a great side dish or vegetarian main dish. 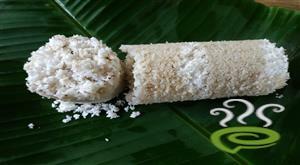 Rava Puttu is a delicious breakfast/ evening time snack made with semolina and grated coconut. 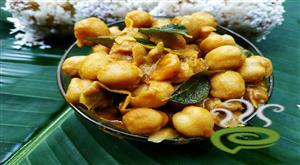 Chena Mezhukkupuratti, also known as Elephant foot yam Fry, is very popular in Kerala.Yam/ Chena fry is also known as chena Upperi, Chena Poriyal, Chena Roast etc and is a great combination with almost every dish, be it chicken fry or any thoran. 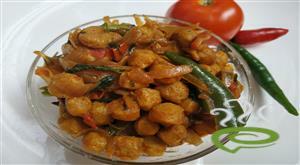 This Spicy soya chunks masala dry fry or stir-fry recipe is an easy, healthy and tasty side-dish. It goes well with rice, chapathi, and any Indian bread. 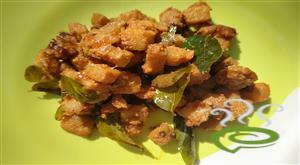 Soya chunks is also called as soy meat or soya nuggets. Soya / Meal maker is a good replacement for meat for the vegetarians. Kadala curry is prepared in many distinctive ways based on how the coconut is added.Coconut can be added in the form of ground paste,g round roasted paste or as coconut milk.But here I skip all these forms and prepare the curry without coconut.even though it is prepared without coconut this curry is thick,flavour rich and delicious. Vendakkai Potato roast is a combination of potatoes and lady's finger/ Bhindi/ Okra cooked separately and combined together with spices. This curry makes a perfect vegetable as a side dish with phulka, roti, rice kadhi. Different regions of India make it in many different ways, go ahead make your own modifications to the method to suit your palate. Ladys finger is a low-calorie vegetable and contains no saturated fat or cholesterol. They are rich sources of dietary fiber, minerals, and vitamins. In our home daily have so many wastage of cooked rice. 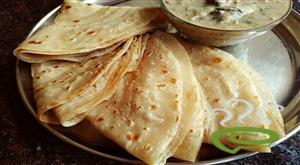 With this recipe you can avoid the wastage of boiled rice by it is used to make the pathiri.